Freelancing. Contracting. Moonlighting. Side hustle. Whatever you want to call it, if these words describe the way you work, then you’re part of the gig economy. “Gig economy” is the term for the growing labor market that centers around independent freelancers and contractors working a succession of short-term projects and tasks instead of—or in addition to—traditional full-time employment at a single company. These “gigs” have specific start and end points, and the freelancer is paid upon completion of set milestones or the entire project. Upwards of 20 to 30 percent of the U.S. and European working-age population is classified as independent workers, the class of employment that encompasses gig and freelance workers, according to Randstad’s 2017 Talent Trends report. Across all markets, as many as 162 million people are working for themselves, rather than a company. The ride-sharing app, Uber, is something of a poster-child for the gig economy, but the gig economy has grown to encompass more and a greater variety of tasks—everything from deliveries and home maintenance, to software development and engineering. This method of freelancing isn’t new. What is a new development unique to the modern gig economy is the prevalence of third-party talent platforms that help freelancers find work and manage hiring and payment processes. People looking to hire can post tasks on the platform’s website or app, and those looking to work can apply. Usually both sides of the equation can also browse profiles according to expertise needed, type of work wanted or price. Most platforms cover many different industries and job types, and accept freelancers with any availability from a few hours a week to those willing to work as full-time contract workers. 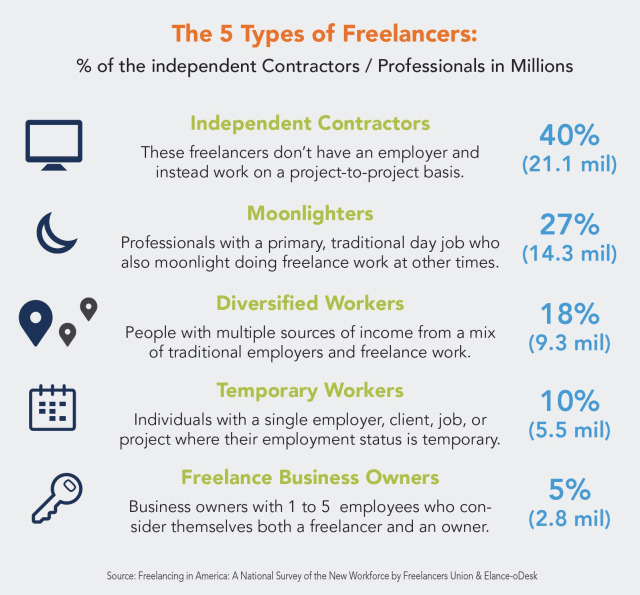 A point of caution, however, is that while most talent platforms are free for workers to sign up and use, they generally take a percentage off the freelancer’s earnings for each job as their fee. These fees can range anywhere from 5 percent to 20 percent, depending on the platform. Whether this affects the viability of freelance work as an option each individual will depend on the platform fees, the amount they need to make and the price of available gigs. However, the variety and flexibility of available work, as well as the project-based structure, makes the gig economy an especially great fit for engineers. Why Is the Gig Economy Popular with Engineers? The recession economy post-2008 saw many young engineers entering the workforce being unable to find full time employment in their career of choice, or seeing long-time employees being stripped of benefits or laid off altogether. Being their early introduction to the professional working world, this resulted in the understanding that having full-time employment with a company isn’t the guarantee of career stability and success it was in their parents’ generation. Because this entire segment of the young engineering workforce started their careers with the need to find alternate ways to earn a living, such as freelancing, these engineers no longer think that the best and only employment option is being employed by a company. Having the flexibility to optimize their work-life balance by deciding how and when they want to work, and what they want to work on, has become a deciding factor for many engineers. The overall movement towards remote working and cloud collaboration has only made this an easier and more viable option. The cost of living is rising, and workers have families to support. When a raise or full-time employment isn’t on offer when they need one, turning to freelance work on the side is a natural outcome—and often a necessary one. One of the reasons for the growth in gig employment among engineers is the fact that the nature of much engineering work meshes well with the freelance gig employment structure. Freelancing and gig work, by their very nature, revolve around project-based assignments with defined start and end dates, work expectations and expected outcomes—all of which are key components of most engineering work within a traditional corporate structure or consulting firm. Engineers have a defined and quantifiable skillset, Hollister writes, which suits the defined needs of project-based gig work. Nearly every engineering discipline or industry features some form of related engineering work available in a freelance context, so there is almost always work available for an engineer with any qualification and interest. 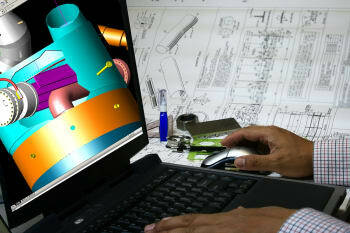 Some of the most common engineering gig work is design-based, including CAD design and drafting, CAE and simulation, civil and architectural design, product design, software engineering and IoT and network design and development. But there is a movement toward other technical roles being contracted to freelancers, such as project planning and management, consulting, researching and testing, mechanical drafting, technical writing and quality analysis, to name a few. A great deal of this engineering work is primarily digital—using computers, email and file sharing, or cloud collaboration and storage spaces online. 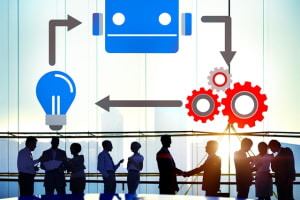 This digitization of the engineering workforce is the key force enabling the shift from engineers working for a traditional employment structure, to engineers choose to supplement or devote themselves to freelancing—the ability to choose what projects they work on, what workload they want to carry, and how they want to schedule their time. Flexibility is a common reason that engineers choose to freelance. Whether an engineer chooses to wok freelance full time, part time or just as a moonlighting side-gig, having the option to choose the work they want is a big draw. Freelancing gives an engineer the opportunity to develop and hone specific skills and expertise—especially those skills they may not use all that often in the course of their regular employment. And, of course, as your expertise grows in your specialties, you become more in-demand as an employee. Lastly, there can be a financial motivation. Maybe they haven’t been able to find full-time employment or have financial obligations that their current salary is unable to accommodate. Health and family needs can also play a part in how they decide on a type of employment. 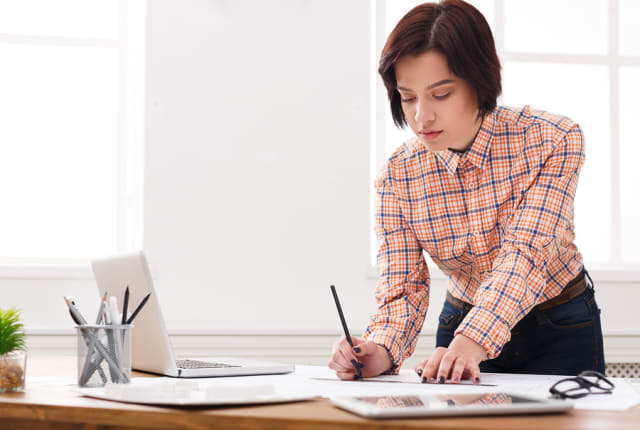 Engineers have a specialized skill set that is always in demand, so for some engineers a little freelancing can go a long way toward their bottom line. However, pursuing freelance work is increasingly a choice for engineers and other independent workers not because they are forced to by lack of other employment options, but because this is how they prefer to work. According to Hollister, as many as 63 percent of freelancers do gig work by choice—and this number is growing. 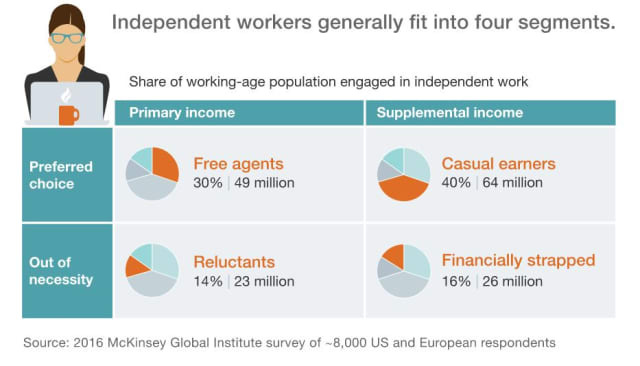 A McKinsey & Company 2016 Global Institute Survey offers a breakdown of independent workers according to their financial reasons for freelancing. The rise of the gig economy has changed the game, especially for engineering and tech workers. Working independently, rather than being employed by a company, requires looking at work in a new way. The most important thing to is that, “You are the business.” While for many this independence is what they want, working this way requires a certain outlook and mindset to be successful. 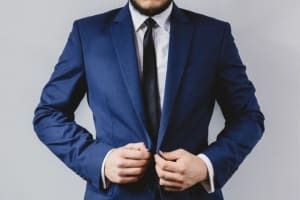 There isn’t a structure or company behind you to back you up—you get hired for a gig solely based on your reputation and history of completed work, and you succeed or fail solely upon your own effort. But it’s not just the workers who have to approach this new work from a new perspective. Companies and employers have to fall in line with the gig economy trend—because that’s where the workers are, or where they soon will be. There are definitely benefits for companies to hire contract and freelance workers. The flexibility that serves freelancers’ needs also benefits employers, as the gig economy makes it possible to hire exactly who you need when you need them, possessing the specific skills you’re looking for. Not having to hire permanent staff or long-term external consultants for every new project also saves employers the associated overhead costs, such as benefits and paid vacation time, office space and equipment. Companies that hire their freelancers through many of the talent platforms available also benefit from ease of payment, with most payment processing handled by the platform. This is ideal for smaller firms that are pursuing growth and need specialized talent, plus an easy way to hire and pay them. While each person’s suitability for freelancing will vary, there are some common points—both good and bad—that any prospective freelance engineer should consider. Freelancing offers some great benefits to engineers who decide to choose this path forward in their careers. While “freedom” is a broad term, it’s an oft-cited reason for engineers to pursue freelance work. Having control over the type of work they are doing, and control over the hours they work and the schedule they keep, are some of the top reasons engineers choose gig work. 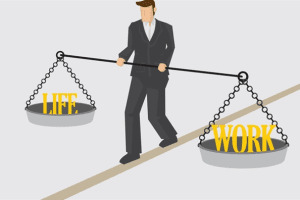 They want the choice to pursues their passions and interests through the work they do, and balance their employment with family time and leisure activities—key aspects of the much-touted ideal work-life balance. For many engineers, the choice to work freelance is financially motivated, either to augment their existing salary with the occasional side-project, or to provide their entire paycheck because they are uninterested in—or unable to find—full-time employment in the traditional sense that offers them what they need. Dedicated freelancers can earn a decent wage, one that provides enough of a financial cushion to offset downsides such as the lack of employment benefits for medical or vacation. Plus, the more individual clients a freelancer has, the less any individual job ending will affect their bottom line. It comes down to how much time you want to devote to freelancing versus how much of a monetary return you’re looking for. The convenience of working from home is the main driver here. Not being required to commute to a physical office location can often save significant time and money. Depending on where you live, commuting distances can often be make-or-break when you are looking for a job. Working remotely, from your home or a local coffeeshop or office-share, can mean saving the price of gas, parking and other vehicle costs. Cutting out the commute also contributes to a better work/life balance by freeing up more time for leisure. Obviously, no matter where and how you work, you will always be improving and strengthening some aspect of your skill set. Engineers, however, are susceptible to becoming almost too specialized—where the day-to-day job involves a handful of specific skills or knowledge areas, in which you become extremely competent—but at the expense of other underused skills at which you begin to lose proficiency. This is a particular issue for engineers who later must search for a new job, only to find that they are not up-to-date on other relevant, essential skills. Since freelancers can choose their projects, it’s easier to keep a wide variety of their skills sharp and current. For all the good things engineers can get from working in the gig economy, there are also some significant issues that will affect whether your lifestyle and personality will be suitable for freelance work. This is one of the most significant arguments that arises against pursuing gig work, especially trying to freelance full-time. For many, the need for benefits—particularly medical coverage—is not an optional consideration when they are deciding on a job or career path. The Freelancing in America 2017 report noted that the Affordable Care Act (ACA) in the U.S. went a long way toward making freelancing a more viable option in this respect. However, the majority of freelancers surveyed (70 percent) still indicated that they would rather take home more pay and then purchase benefits on their own, rather than receive benefits from an employer or client. 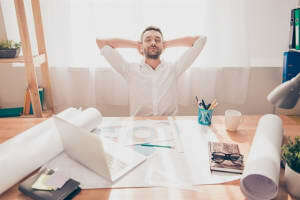 The caveat here is that while a prolific freelancer may be able to earn enough to offset the lack of benefits and maintain a savings account to cover unexpected expenses, it’s easy for anything above the most routine of medical expenses to quickly outstrip any freelancer’s ability to earn enough to cover these costs. Furthermore, if your earning potential is compromised, whether you’re sick or you have to devote time to care for a family member who is ill—the problem can snowball. Currently, there are few protections for those dubbed “contract hires,” meaning there is little recourse for freelancers if projects end prematurely, clients delay or refuse to pay, or contracts are terminated without notice. While there is some movement in the direction of better protections for gig, freelance and contract workers, substantial support is still quite some distance away. Another downside to freelancing as a primary or full-time method of employment, especially when done entirely over the computer, is the potential to be very isolating. It’s possible to become unmotivated or uninspired without the structure and social interaction that comes from a traditional lab, office or jobsite environment. On the career side, being isolated from other professionals in your field can make it harder to grow your professional network—and this network is crucial for a freelancer, as word of mouth and referrals are often the source of new projects. There are solutions, of course, including working outside your home at a library, shared office space or café, and joining online or in-person groups and organizations related to your engineering field and industry. Becoming a member of the local chapter of your professional organization, such as the American Society of Civil Engineers (ASCE) or American Society of Mechanical Engineers (ASME), and attending conferences and tradeshows to network is essential to get your name out to the right people. But these solutions require effort on the part of the freelancer, so it’s important to remember both the potential effects of working in isolation, and the time needed to offset these effects. Along with the freedom to choose your projects and structure your schedule however you want, come issues of self-motivation and self-promotion. It can be easy to fall into habits of procrastination when working freelance, resulting in missed deadlines, or not picking up the next contract as quickly as your should, leading to unpaid and unproductive downtime. As an independent worker, there isn’t an external structure to push you forward or prop you up—it’s all on you to set deadlines and stick to them, to follow up with clients promptly and to always be on the hunt for your next gig or contract. The same applies to promoting yourself and your work. 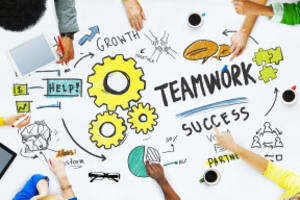 At a traditional company, there will often be a marketing department to do promotion of the company, and by extension you and the work you do in your job. As a freelancer, no one else is going to do this for you—it’s your job to network, to polish your personal brand and market yourself with each new potential customer you meet and job you bid for. All of this takes time and effort, meaning it’s a significant factor to take into account when you’re deciding on a freelance career. Possibly the most difficult aspect of gig work is the level of competition you can face when bidding on projects, especially when you’re new to the gig sphere. While you would never enter the freelance arena with the expectation of being hired for every task and contract you applied for, it’s entirely possible to bid on dozens of projects and not get any of them in the face of many other equally talented workers who have a longer work history, more experience or a better “reputation” in the industry. This is particularly true when working over a talent platform website, most of which display past completed projects, employer rankings and feedback notes for prospective employers to browse before they hire. You can also get low-balled right out of the game by international freelancers who bid the work at a fraction of the cost because the U.S. exchange rate works in their favour. It can be a lot of work just to find gigs in the first place, much less the time and effort required to complete them, and this is a vital part of freelancing that you need to know before moving to build a career in the gig economy. This factor contributes to the issue of income instability that is inherent in the freelance economy. The nature of freelancing means that the amount you earn will vary month-to-month depending on the work you take on and complete. While not impossible to manage a living, this form of earning requires special attention to budgeting and saving up during busy times to help tide you over when work is slow. The gig economy as a whole suits engineers to a tee, so whether freelancing part time or full time will work for an individual comes down to their needs and their assessment of the pros and cons of this type of employment.